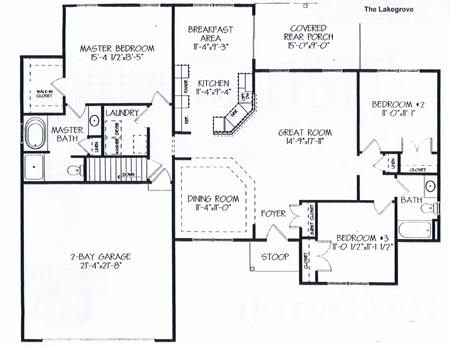 The floor plan features a great room, dining room, kitchen and breakfast area that opens to a covered rear porch. 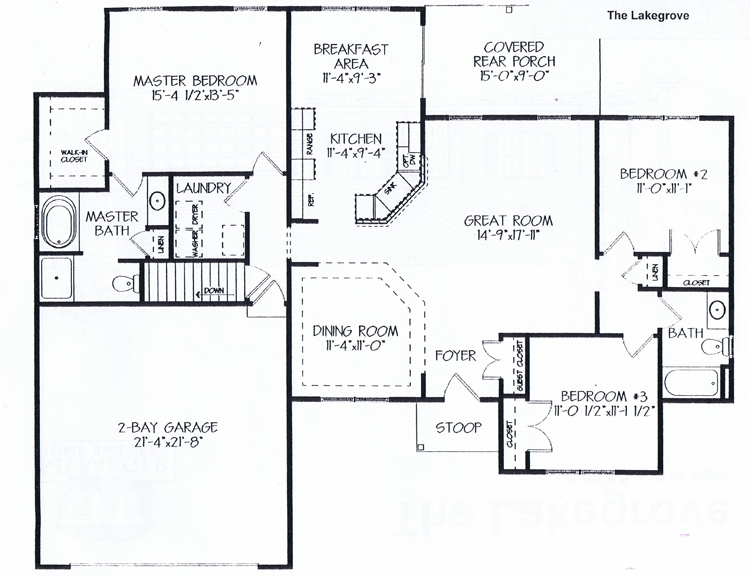 Two bedrooms and a full bath occupy the right side of the house. The master suite is on the left side and features a walk-in closet, tub, shower and linen closet.